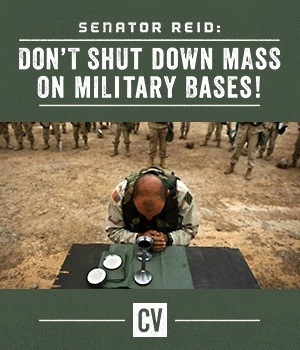 During the government “shut down” some priests are threaded with arrest if they celebrate Mass for our troops. Priests threatened with arrest if they minister to military during shutdown. I suggest Obama and his crony Harry Reid do the right thing. Check out CatholicVote.org to get more info and find out what YOU can do.